Happy Tuesday ladies! 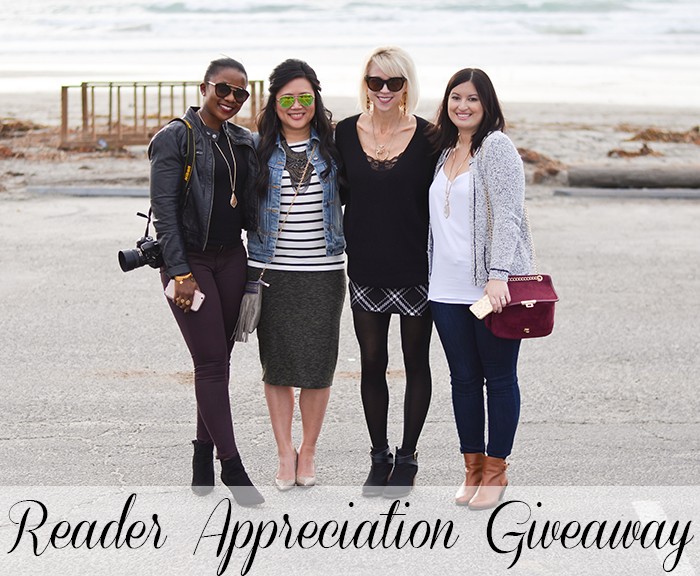 I haven't done a proper giveaway in over a year, and some of my favorite blogger friends and I have decided that it's time we thank you all for being such great friends and readers. What better time than this week, with V-Day right around the corner? Sounds good to me! We have chosen an Express gift card for $100 dollars as a token of our appreciation. Considering I just placed an Express order and there are tons of new arrivals for Spring, I know one lucky reader will put the card to good use! The giveaway begins today (Tuesday February 9th) and will close on Saturday February 13th. We will formally announce the winner next Tuesday the 16th. Good luck! I'll be back tomorrow with a Valentine's inspired look.